The Possibility Coaches - Your Mental Fitness Trainers! There are numerous ways to create a fit, healthy body, however, mental fitness must also include your mind. There are ‘proven’ workout techniques and sound nutritional programs. But what about our mind? How do we get it to be healthy and fit? As humans, we go through a wide range of thoughts and emotions daily. Some make us feel good; others, not so good. This seems to be especially true during the vacation and holiday seasons. You may have good thoughts and emotions regarding this time of year or you may dread it. You may feel overwhelmed and stressed about plans, itineraries, bathing suits, parties, choosing and giving gifts and the expenses that go along with all the celebrating. Staying at the peak of mental fitness will give you balance regardless of events, circumstances or environment. Before you set your ‘perfect’ body goals, understand this: you will want to include a program that includes mental fitness as well. It has been scientifically formulated that, on average, we have 60,000 thoughts a day. Most of the thoughts that we have today are the same thoughts we had yesterday, and the day before, and the day before that. Get the picture? There are no new stressful thoughts, just ones that we recycle over and over again. 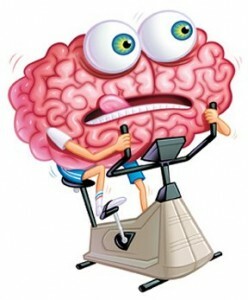 A strong mind that has been prepared, through mental fitness, is more suited to deal with this level of activity. Your life, and how you are currently living it, begins and ends in your mind. How your mind operates determines how happy you are, how successful you feel, and how you interact in all areas of your life. Learning how to focus and direct your thoughts is the most critical ingredient required to have a fit mind AND a fit body. Your thoughts have a direct influence on every cell in your body. When your mind is trapped in a negative thought pattern it affects your ability to fully function both mentally and physically. Quite miraculously, when we change our thoughts, we change our life. There are many scientifically proven mental fitness techniques that can assist you to embrace a new level of mind. These techniques go directly to your non-conscious mind – that part of the brain that stores most of our thoughts, beliefs and emotions. These techniques are safe and very transformational. In our workshops, classes and coaching sessions, Jon and I utilize many reconditioning mind techniques (RMT’s), the building blocks of real mental fitness. They are simple to use, require little time and virtually no effort. The only requirement is that you use them on a consistent, daily basis. In just three months you can create a new way of thinking. This is the path to becoming a truly ‘fit’ person. One very simple technique is to question every thought and belief you have. Just because you have a thought, doesn’t mean it’s true! When you have a negative, judgmental or critical thought about yourself, ask yourself: is this really true, is this really true 100% of the time and in 100% of all situations? Your answer has to obviously be a ‘no’. Now, you are creating awareness! Once you start to unravel these beliefs one knot at a time, there is no going back. This is growth. Ask yourself: what would it feel like to think, feel and act happy today, throughout this year and beyond? Can you picture it? Can you feel it? If you answered ‘yes’ then you can transform your mind into a fit mind. Pingback: Equipment and DVDs for getting fit at home. You’ve got great insights about mental coaching, keep up the good work! Thanks for sharing. We greatly appreciate the feedback!